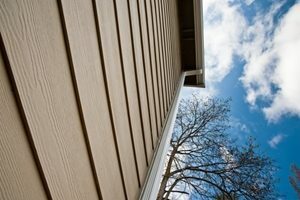 The siding of your home or business is important for many reasons. It provides your property with the protection that you expect and deserve. At the same time, your buiding’s exterior siding defines the overall curb appeal of your residence or business. If you need help installing or repairing the siding on your property, it is always best to contact a professional for help. At Allpro Contracting, our exterior remodeling contractors specialize in installing, maintaining, and repairing all types of siding in Southwest Chicago. In 1962, our locally owned and operated remodeling company was established to provide the highest quality exterior remodeling services in Southwest Chicago. Our professionals work their hardest to add value and enjoyment to the properties of our customers. When you hire us for your siding related project, you are making a fantastic choice for your home or business. Call Allpro Contracting today if you need to hire a professionally licensed exterior remodeling contractor who installs and repairs siding in Southwest Chicago. Our polite and dedicated staff is ready to take your call and to assist you in any way that we can. Our siding contractors would be happy to answer all of your questions. We can schedule your consultation today. When you choose to install vinyl siding on your home or business, you are making a great choice for your property for the long term. These materials provide the highest level of protection possible and can withstand nearly any type of exposure. The will not rot, crack, chip, or be affected by bugs. These amazingly beautiful siding materials are also fade resistant. When you hire our Southwest Chicago remodeling contractors, we will install your vinyl siding in the most expert fashion. You and your family will be absolutely pleased with the results for decades to come. Because vinyl siding is so popular, it is manufactured in countless colors, shapes, styles, and designs. Our exterior remodeling experts can provide you with a wide range of samples. Together, we can choose a vinyl siding material that fulfills all of your aesthetic goals and complements your architecture in the best possible manner. You and your family will be stunned by the results. If your vinyl siding every becomes damaged, our Southwest Chicago remodeling contractors are here to help. We have the knowledge, skill, and experience necessary to repair or replace any portion of your siding for you. We will always work our hardest to provide you with the highest quality services possible. You will always know that you can trust our team with all your siding related needs. If you would like an estimate for new siding in Southwest Chicago, please call 708-658-3500 or complete our online request form.